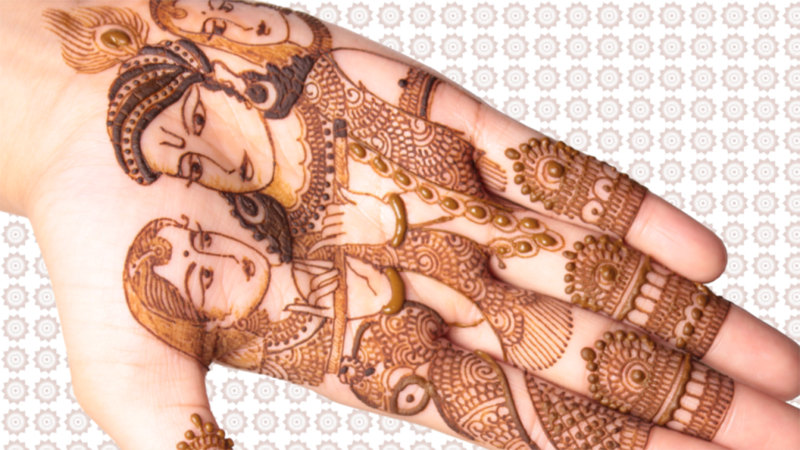 Are henna tattoos permanent? I get this question a lot. So let me try to answer this in a simple way. Henna is an Arabic word for a dye that is prepared from the plant Lawsonia inermis. Lowsonia intermis is commonly called henna plant. How is Henna Dye Made? Leaves of henna plants are plucked just like tea leaves. The leaves are then dried in shade. The dried leaves are then crushed into a fine powder. The process of converting henna leaves into fine powder may involve sieving the powder two to three times. But this is a topic for another blog post. The powder is mixed with water to convert it into a paste like consistency. When this paste is applied on the skin it leaves behind a reddish brown stain. Henna tattoos are temporary. Henna leaves contain a compound called Lowsone. When henna powder is made into a paste and applied on the skin lowsone is made available. Lowsone migrates from paste to outer layer of the skin. There it reacts with proteins and makes a fast stain. Depending on the quality of henna powder the stain may last anywhere from a week to fifteen days. If you do your dishes then it will wear off faster. How To Make A Faster Stain? Apply oils like tea tree oil on the skin to get a faster stain. Tea tree oil contains monoterpene alcohol which improve the stain. Monoterpene alcohol is found in essential oils from many aromatic plants. Interested in Henna Tattoo Art? Watch these henna tattoo tutorial videos on Youtube.